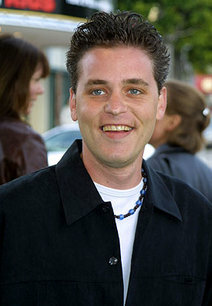 Pneumonia, not drug abuse, killed actor Corey Haim, the Los Angeles County Coroner ruled in an autopsy report released Tuesday. Although the investigation into Haim's death began as a "suspected prescription medication overdose," toxicology tests "revealed no significant contributing factors" from drugs, the coroner reported. The autopsy found "an extremely large amount" of swelling in Haim's lungs, it said. The ruling that his death was not related to his well-publicized drug addiction confirmed what his mother and manager have insisted for weeks: that Haim, 38, did not overdose. Haim died March 10 after collapsing at the Los Angeles apartment he shared with his mother. Although the 1980s teen actor battled drug addiction for decades, his death came when Haim "was making major progress" with a program to wean him from pills, said his manager, Mark Heaslip. Toxicology tests showed that Haim's blood did have "low levels" of a list of drugs, including an antidepressant (Prozac), an antipsychotic (Olanzapine), diazepam (Valium), a muscle relaxer (Carisoprodol), a tranquilizer (meprobamate) and THC (a chemical in marijuana). Haim also was taking a cough suppressant, antihistamine and ibuprofen. "These medications are present in low levels and are non-contributory to death," the autopsy report read.